Paul Anka in Montreal or Quebec City? Inform me about the next events for Paul Anka. Enroll yourself to our priority waiting list for Paul Anka to be alerted when new tickets are available. Filling this form doesn't engage you to any purchase. 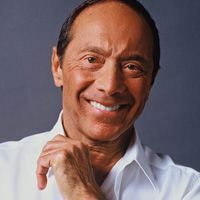 The great Canadian singer Paul Anka will be performing at the Maisonneuve Theater of La Place des Arts, in Montreal, on Sunday, September 29th, 2013. Canada's answer to Frank Sinatra has been on the scene for over 55 years now. He celebrated this great achievement this year with a new album entitled Duets, an autobiography entitled My Way, and a tour with 14 musicians. Don't miss the great Paul Anka in Montreal !